The Florida A&M football players walked through the Galimore Fieldhouse looking fit. 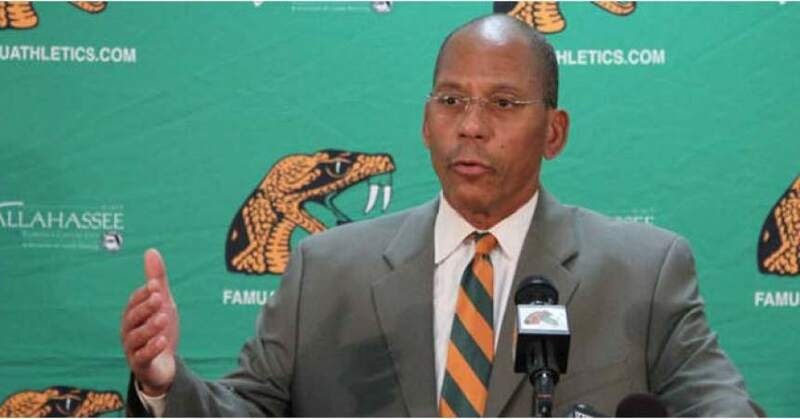 It serves as Exhibit A for first-year coach Alex Wood that the Rattlers made good use of the time they had this summer for unsupervised workouts – in the weight room and on the practice field. But leadership is one other key element that he hopes comes out of the weeks his players spent toiling for hours. “I hope it created a window and opportunity for leadership to emerge,” said Wood, who will begin his first fall practice as head coach in early August. “That’s what it’s really all about. Whoever it is; we don’t really care. The frontrunner seemingly is senior linebacker Akil Blount by virtue of his actions. He took the lead in the summer workouts and just last week the team culminated a clothing drive that started on Blount’s initiative. Wood was obviously impressed, although efforts such as social services performed by football players during the summer months aren’t uncommon. The charitable effort by his players should resonate in the community, Wood said. Just like he did with the clothing drive, Blount took charge during the summer workouts. He focused on helping his teammates get a grasp of the new system that Wood brings, while building a brotherhood that they hope will snap a string of three losing seasons. Not a soul was spared from working until they executed each drill correctly – not even the freshmen — said senior tight end Alonzo Palmer Hicks. Wood said he wasn’t surprised to hear about the up-tempo workouts and enthusiasm that his players demonstrated.